With days remaining before the final deadline for putting a revised water bond on the November ballot—and with stakeholders on all sides still sharply at odds over the size of the measure and what it should be spent on—it is important to remember what all the fuss is about. Or what it should be about. This year’s water debate is not just about responding to this year’s drought or making urgent investments in California’s aging infrastructure—though hundreds of thousands of acres of fallowed farmland and 90-year-old water mains bursting in the middle of the state’s biggest cities have certainly helped focus the public’s attention on the subject. 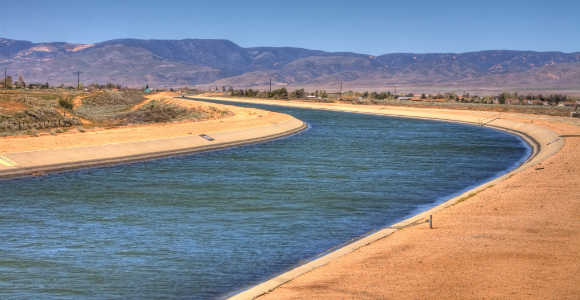 What the drought and infrastructure challenges have made abundantly clear—and what the water bond debate should really be about—is how much this system desperately needs both new and smarter investment, as well as more comprehensive governance. The Points of Agreement are intended as a basis for these more specific policy recommendations—integrating surface and groundwater resources, for example, while protecting upper watersheds and crafting a sustainable solution for moving water from north to south in California. Among the signatories are groups ranging from the Association of California Water Agencies and the Metropolitan Water District to the REAL Coalition and The Nature Conservancy. While the water bond might seem like the right place to be having this conversation, the bond discussion, with legislative deadlines looming, has become less about implementing a grand vision—and more about haggling over how much funding should go to major projects and different types of infrastructure. The governor this week tried to put the state’s water investments in a broader context, referring to his own bond proposal as the California Water Action Plan Financing Act. To his credit, he seems to view the bond as a jumping-off point for implementing the Water Action Plan, while also emphasizing “fiscal responsibility” in arguing to keep the measure relatively small. (An argument could also be made, of course, that wise investments that put the state on a path to water sustainably also qualify as fiscally responsible.) Most of the debate among stakeholders, meanwhile, remains centered on who will get what. Specifically, whether the administration’s $6 billion measure could be increased to $7, $8, or $9 billion—and how much of it should be distributed to different kinds of water projects. CA Fwd’s letter makes the case that taking on California’s long-term water challenges requires more than simply putting more money into the current water governance system—a vast network of largely independent water managers who operate within a complex set of laws and regulations governing water rights, environmental protection and restoration, flood management, and water quality. A drier future in California demands not just smarter investments—with funds going to projects that produce the maximum public benefit—but smarter governance, as well. This path may have been obscured by the political complexities of securing a water bond deal this week. But it is still there. CA Fwd’s open letter can be found here. The Water Fix Coalition’s Points of Agreement are posted here.